MOSCOW (Sputnik) - The labelling of the Iranian Revolutionary Guard Corps (IRGC) as a terrorist organisation by the United States will entail consequences and Tehran is going to warn all foreign ministers about them through letters, Iranian Foreign Minister Javad Zarif has stated. "Letters will be sent today to the foreign ministers of all countries about these actions [the United States' designation of the IRGC], which will warn them about consequences of unprecedented and dangerous US actions as well as about stances that they will need to take in this context", Zarif was quoted as saying by the IRNA news agency. 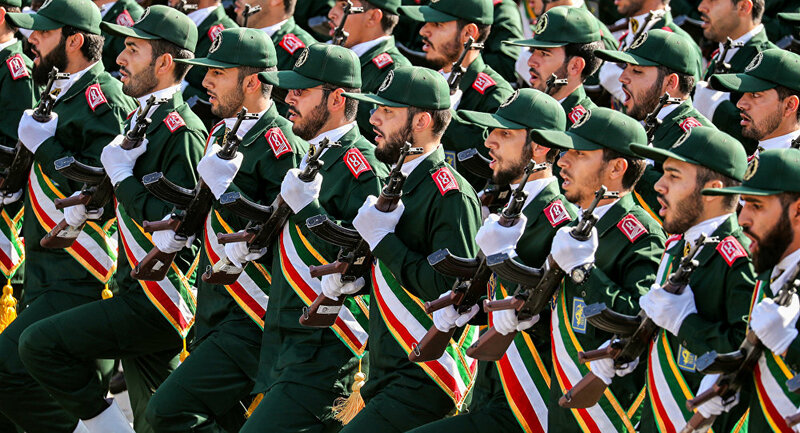 On 8 April, US President Donald Trump designated the IRGC as a terrorist entity, which marked the first time ever since the United States named a part of a foreign government a terrorist organisation. In response to Washington's decision, the Iranian Supreme National Security Council accused the US government of supporting terrorism and recognized the US Central Command as a terrorist organisation itself. The US move was welcomed by Saudi Arabia, which cut off its diplomatic ties with Tehran in 2016, and Bahrain, which has repeatedly accused the IRGC of destabilising the situation in the region. IRGC is a branch of Iran's Armed Forces that was founded in 1979 in order to struggle against left-wing opposition groups. Today IRGC has a wide range of responsibilities such as domestic security; overseeing the activities of political, social, and non-governmental organizations, private companies and firms; preventing foreign interference; and controlling Islamic norms of life and morality.